Influenced by his parents’ example Richard's journey of 40 years has been a saga of faith and extraordinary achievement that has flowed from his being shot and from his immediate acceptance of his fate. ‘In the circumstances, I readily acknowledge that bitterness was an option,' he says, 'but it was one I chose not to take. I went to sleep and next morning I awoke and got on with life.’ He learned to live without eyes, to lead a folk group, to become a licensed radio operator, to gain a university degree, even to run in the New York marathon for charity and to found his own charity, ‘Children in Crossfire’, that has helped millions of children and communities throughout the world since 1996. 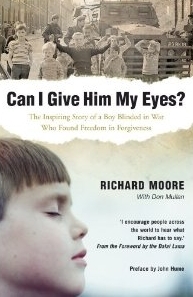 He has also written his life story, Can I give him my eyes?, after words spoken by his father after he was shot. He married his wife, Rita, in 1984 and they have two daughters, Naoimh and Enya. 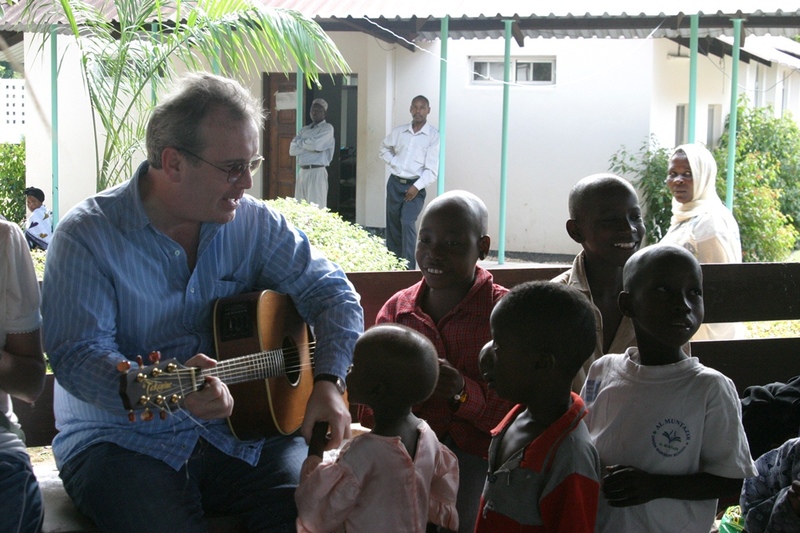 He and his charity have gained awards and he has been made an Honorary Doctor of Laws by the University of Ulster. All through the years, however, there was growing in Richard the feeling that he needed to complete the other half of his story, to meet the man who shot him. After a long and eventually fruitful search, and then careful approaches to ensure the soldier didn’t feel threatened, the contact was made. Richard has travelled widely but the 45 minute flight to Scotland to meet Charles was for him ‘the longest journey of my life’. The two men talked for almost four hours. ‘I was happy in his company. He understands the hurt that I have come through. Once you humanize a situation like mine it is amazing how all the myths evaporate. I didn’t see him any more as a soldier but rather as a grandfather, a father, and a man who had his own difficulties and traumas.’ The two men have since both stayed in each other’s homes. 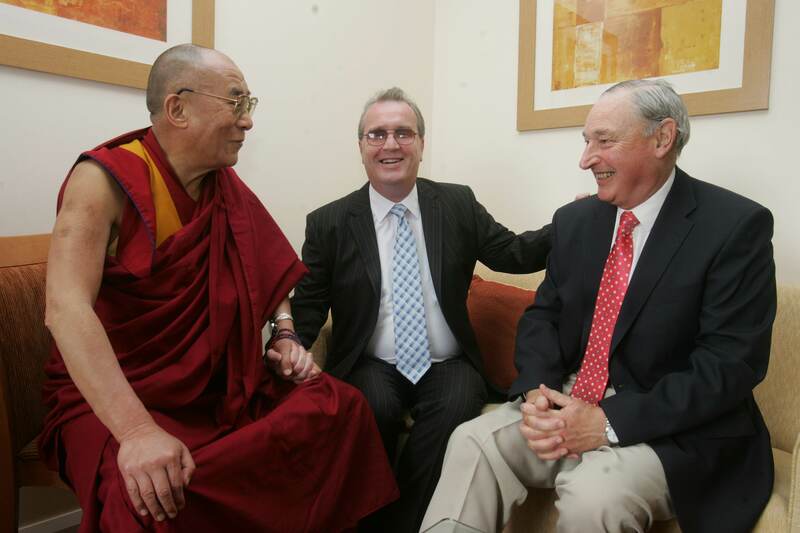 In May 2010 Richard and the British soldier, Charles Innes, visited the Dalai Lama in Dharamsala, his home city in Northern India. They both spoke at an occasion in a local Tibetan school. The two men were seated on either side of His Holiness. 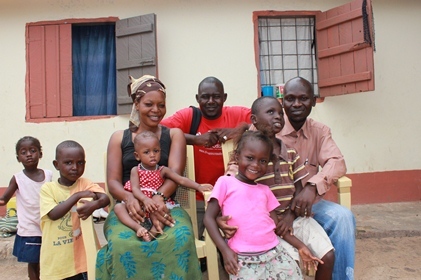 Charles spoke of the horror he felt when he realized that he had blinded a child. 'I was appalled and devastated,' he said, and had deeply grieved ever since. But the kindness showed to him by Richard and his family had helped him come to terms with what had happened. The Tibetan leader said that future generations would draw inspiration from Richard's spirit of forgiveness and compassion: Richard, thanking the Dalai Lama for the tributes, said, ‘Your sight can be taken away but not your vision.’ Richard and Charles took part in a BBC documentary ‘Blind Vision’. Ri chard is the Executive Director of ‘Children in Crossfire’ and His Holiness is now its Patron. 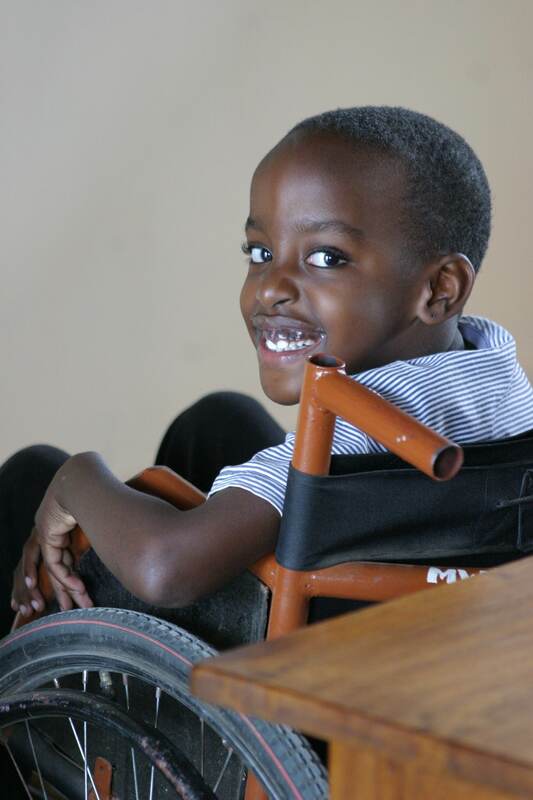 It is an international relief and development organisation, committed to the promotion and protection of the rights of vulnerable children caught in the crossfire of poverty, with a particular focus on disabled children. Children in Crossfire work in partnership with local organisations in Africa, specifically Tanzania, Ethiopia and The Gambia to deliver projects on the ground, protecting the rights of vulnerable children, providing access to clean water, food, health and education. Richard said of his parents, and he mirrors this in his own life: 'My parents lived their religious beliefs with quiet dignity and preached them without words. Their belief in a loving God and in particular, the example of Jesus on the Cross, convinced them that forgiveness was the key to inner peace.’ His story, with its elements of forgiveness, acknowledgement of wrong doing, and reaching out to ‘the other’, reinforce the idea that these are far more than just personal matters.